Shelley Krasnow was a Northern Virginia scientist and businessman. The son of Russian immigrants, Krasnow was born in 1907 and educated at the City College of New York. He began his career as an engineer and physicist, later becoming the holder of over 30 patents. Krasnow directed the Geophysical Instrument Company, which later became Georator Corporation, a manufacturer of sophisticated electronic generating equipment. A man of many talents and interests, Krasnow was a savvy businessman who invested in land holdings throughout Northern Virginia before the development boom of the mid-twentieth century. During the late 1950s, Krasnow offered the University of Virginia several different properties in Prince William County upon which to build its Northern Virginia branch. Krasnow deeply believed that knowledge and education were to be applied in service to the larger community. He was intrigued by the research and study of human life as it responds to its environment. During the 1960s, he began researching the relationship between geography and cancers in humans. 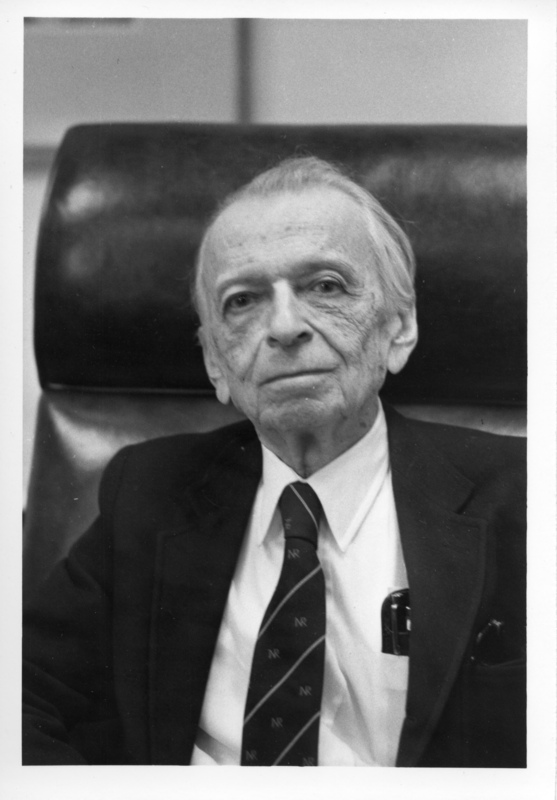 By the end of his life, Krasnow had expressed a desire to establish an “Institute for Advanced Study” which would work “for the betterment of mankind.” In 1988 Krasnow and his attorneys created the Virginia Institute for Advanced Study that, once built and staffed, would conduct cutting edge research. While Krasnow envisioned his institute would be built on thirty-nine acres he owned adjacent to Pickett Road on the eastern end of the City of Fairfax, zoning regulations would not permit it. So Krasnow would need to petition the Fairfax County Board of Supervisors to re-zone the tract or locate another site for the Institute. He was later introduced to George Mason University President George W. Johnson and Northern Virginia businessman, Sidney Dewberry, the founder of a local architectural and engineering consulting firm. Dewberry and Johnson, along with Senior Vice President J. Wade Gilley, courted Krasnow, hoping that he would consider establishing the Institute at George Mason. Though initially unsure as to whether scientists at the Institute would be given enough free reign to succeed in their research at a state university, Krasnow was soon convinced that Mason would be an appropriate home for the Institute. In September of 1989 Krasnow died, bequeathing the thirty-nine acres to George Mason University to sell and use the proceeds to build the Institute for Advanced Study. Initial estimates placed the value of the land as high as $20 million, depending upon how the land might be re-zoned and what a developer might pay for it. In 1991 it was discovered that that a local petroleum tank farm associated with Texaco had begun leaking petroleum underground and into the water table under the former Krasnow property. In July 1992 a settlement awarded $7.35 million to the Krasnow estate. In May 1993 the University held a scientific conference, co-sponsored by the prestigious Santa Fe Institute, to help determine which specific area of science the Institute would pursue in terms of research. Titled “The Mind, the Brain, and Complex Adaptive Systems,” the conference brought together an unusual group of scientists whose ranks included Nobel laureates Murray Gell-Mann and Herbert Simon. The conference and resulting published paper introduced new ideas regarding the study of the human brain and mind. The Institute would make its mission to study the human mind and how it operates. Closely related is a second area of inquiry, namely how the human mind functions in education, decision-making, and other day to day human activities. The Institute’s initial Board of Directors included several prominent figures in the Fairfax community, including George Mason University President Johnson and University Provost Frederick Rossini. Scientist and Robinson Professor Dr. Harold Morowitz was named the first director of the facility in the fall of 1993. Morowitz’s resume at the time of his appointment included: teaching at several institutions of higher learning, publishing sixteen books, and authoring over 125 research papers. Several advisory committees were also established to advise the administration of the Institute. The memberships of these “boards” comprised professors and administrators in many different fields from universities all across the country. Dr. James S. Trefil, a George Mason University Robinson Professor who played a role in the creation of the George W. Johnson Learning Center, joined the Executive Committee of the Institute. In the summer of 1994 the Krasnow Institute opened in the Commerce Building, a rented property about one-half mile to the north of the Fairfax campus in Fairfax City, while its main building on the University grounds was being constructed. University administrators announced that the 30,000 square foot permanent building on campus for the Institute would be ready for occupancy in the summer of 1996. The $4 million building would have office space for a staff of forty, an MRI scanning center, a library, and several meeting rooms. The building’s opening was delayed until the next spring. It was dedicated on April 2 and occupied by staff on May 2, 1997. Dr. James L. Olds became Director of the Krasnow Institute in 1998, and took an additional role as the Shelley Krasnow University Professor in 2000. After stepping down as the Institute’s director, Dr. Harold Morowitz remained a member of the facility’s faculty. Since its inception, the Institute has received over $41 million for research. Every year, the Institute hosts conferences on fascinating topics in the field of cognition. As the University moves further into the Twenty-first century, it is almost certain that the Krasnow Institute will continue to conduct exciting new research and further society’s scientific knowledge. Browse items related to Shelley Krasnow and the Krasnow Institute for Advanced Study.